They heard they had slow service and long waits for tables. The first impulse was to blame the employees and kitchen staff. But, that is short sighted. They hired a firm to study this. What they found was interesting. And, now, when I am at a restaurant I am very conscious of this! 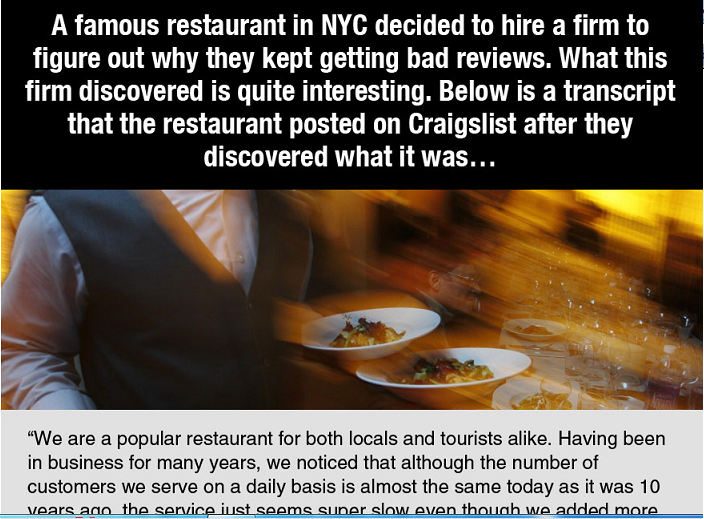 The restaurant owners posted this on Craigslist. It’s a quick read and something to consider.